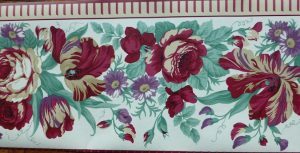 Cream tulip vintage wallpaper border with tulips in Eggplant, Cranberry and Pumpkin and Teal leaves all on Creamy Off-White. 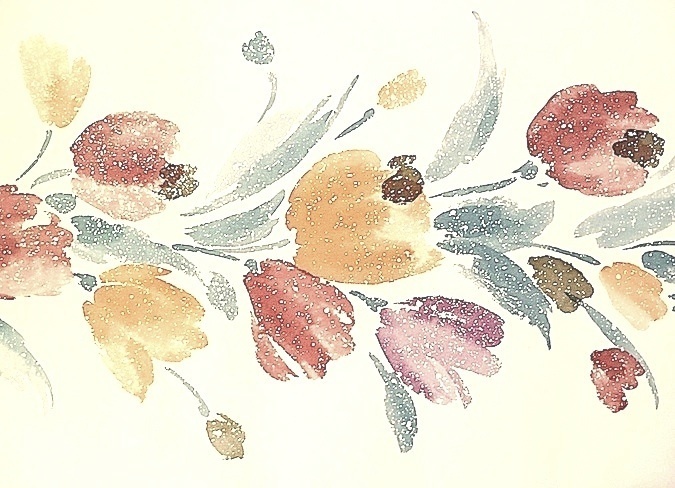 The overall effect is of an original, hand print, watercolor-looking border that oozes charm. The Teal leaves are a nice touch that enhance the painting look of this border. *Although the image shows the background with a Yellow hue, it is actually Creamy in tone. * Ask for a small Free sample to ensure color match.